The Ilkley Business Awards started in 2016 and are supported by BADCOT, (Burley and District Chamber of Trade), and the Ilkley Business Forum with local businesses sponsoring the 14 categories of award. 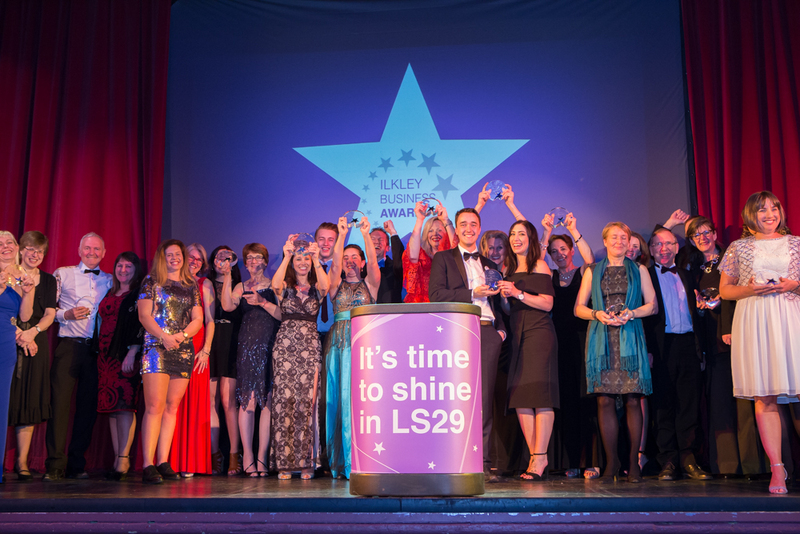 The awards ceremony took place at the Kings Hall and Winter Gardens in Ilkley and was a celebration of the achievements of businesses in the LS29 postcode. We were delighted to receive the award for Micro Business of the Year 2018, a new category open to any business with 3 staff or less. As designers we enter design rather than business competitions, so it was rather special to be recognised for our business strategy, marketing and customer service. Time to shine in LS29! Harden War Memorial Garden – Design Winner. Design and implementation of a new planting scheme for the Remembrance garden. Part of a tender put out by Harden Parish Council and won on the sensitivity and symbolism of the design. Creation of a new complimentary sister company, “Helen Taylor Plants and Planting” in response to the demand from clients for the supplying and planting of gardens we have designed. Development of a new service, Garden Maintenance Guides - to help clients look after their newly created gardens – with a pictorial and colour coded month by month plant care ‘manual’. Garden Design Studio Conversion of home garage to create a light and airy design studio for the business. Our annual Garden Visits Day (local gardens we have designed, opened by our clients) inviting existing and new clients to gain ideas for their own projects and to enjoy the company of other garden enthusiasts. This has proved very successful as a networking idea but also as a time to pause and enjoy what we have achieved over the year. Helen’s scones also received rave reviews. As an Ilkley based company for almost 20 years, we have built good relations with other local design professionals – architects (Niche Design Architects, Halliday Clark, Barker and Jordan), engineers (Hutchinson Whitlam) and use local contractors (TEL Landscapes, PWP Landscapes and Steve Ferris), tree surgeons and plant nurseries. We offer design services to suit different budgets – our popular one-day sketch service, ‘Plan it in a Day’ for design or planting ideas, is a charged at a fixed price with no hidden costs. For the last few years we have offered a garden design consultation to Ilkley Grammar School’s Auction of Promises for PTA fundraising. We also support the IGS Year 10 work experience programme and welcome students wanting to find out about a career in garden design. SOCIETY OF GARDEN DESIGNERS 2010: Burley Methodist Church community garden. 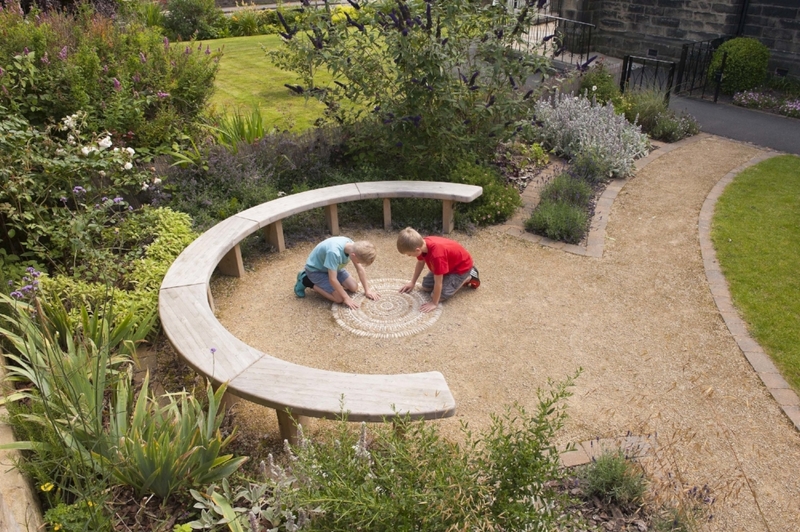 In 2010 Helen’s design for the Burley Methodist Church ‘Garden of Creation’ received a coveted Society of Garden Designers Award (only 10 gardens nationally selected). It continues to be a well-used and loved community garden in Burley in Wharfedale.